These videos cover the basic operation of our CCTV42 HD Hybrid DVR recorders. We show you how to log into your DVR to access the main menu and arrange live camera images on screen. We guide you through searching pre-recorded footage stored on your DVR either by time or by event. We also show you how to set up motion triggered recording which can create searchable bookmarks. We also look at accessing your CCTV system over the internet. All our DVRs can be remote accessed using Windows PC or Mac computers as well as mobile devices such as phones and tablets (such as the iPad). A guide to logging onto your CCTV42 HD Hybrid DVR recorder and arranging the on screen display of live camera views. This guide shows you how to enter the username and password into the DVR in order to access the main menu. 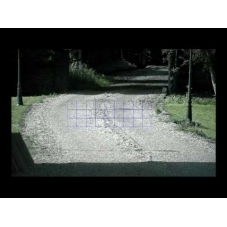 It also shows you how to display live camera views with different numbers of cameras on screen. You can also drag and drop cameras into different live screen windows. A guide to searching through recorded footage on your CCTV42 HD Hybrid DVR by time or event. How to set up motion triggered recording on your CCTV42 HD Hybrid DVR recorder. A walk through guide to viewing you CCTV42 HD Hybrid DVR recorder on an iPad. We look at adding a DVR to the Auperlive HD App, live camera views, searching recorded footage, setting up motion triggered recording, controlling a PTZ camera and so on.